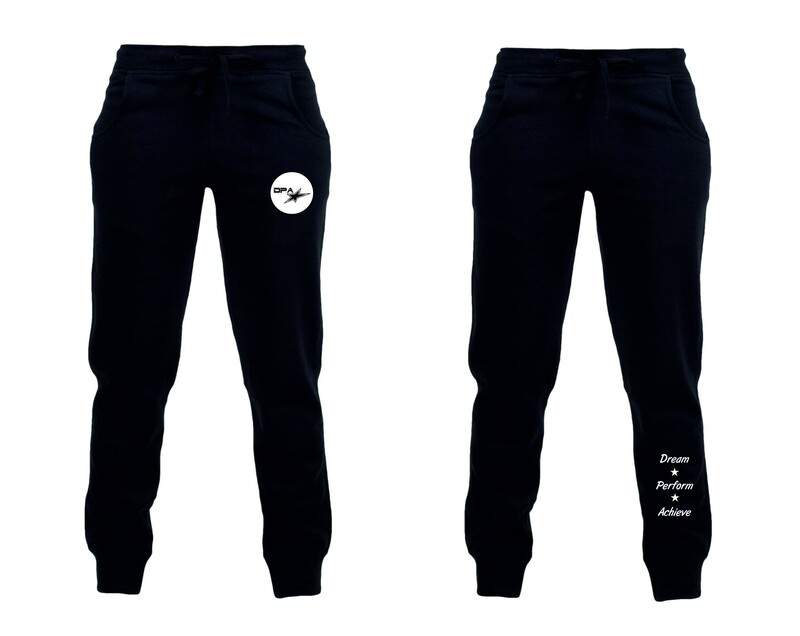 Men's slim cuffed joggers printed with the DPA logo on the front left leg and down the back of the right leg. These joggers have a ribbed waistband and cuffs, self coloured flat lace drawcord and 2x curved side pockets. Made of 60% Cotton and 40% Polyester these joggers are available in various sizes.